Unlock the complexities of Conversion Rate Optimization (CRO) with our team of conversion rate experts who will analyze and enhance your website. Once you attract strangers, who are then visitors to your website, the next step in the process is to convert these visitors into leads! Our conversion rate experts boosts your online conversion rate by optimizing your website. Optimizing landing pages is key to converting visitors into leads. Learn effective tips to start seeing results. Download our Free CRO Checklist! 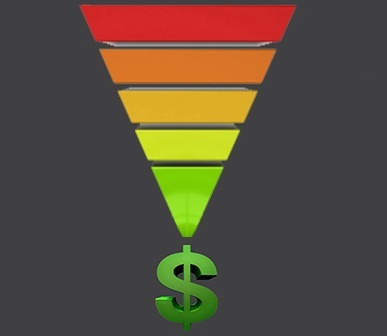 First, we develop a strategy to optimize your conversion rate by analyzing your website. Second, we then design a conversion strategy. Third, we run practical, scientific tests to determine what gives you maximum results. Conversion Rate Optimization (CRO) is the method we use, creating an environment for a website or landing page, so that visitors take specific actions and convert into leads. Our goal is to maximize the number of visitors which convert into leads. Once a visitor performs an action they become a lead! Conversions occur all over your website, on your homepage, pricing pages, blogs, and landing pages. Our conversion rate experts can optimize all of these areas using the techniques in the field of Conversion Rate Optimization. By analyzing your target markets, who your visitors are, and what actions you want them to take, we design a strategy and test our approach. As we accumulate results, we re-evaluate until we come to the best solutions to ensure conversion rate results continue to improve. Along with our engineers and analyzers, we incorporate the creative and organic elements to engage your visitors. Design, color, placement and other factors are all synthesized into a strikingly appealing look made to hold your visitor’s attention. We deliver so your website has improved conversion rates for e-commerce and lead generation. More visitors will buy from you rather than abandon their shopping cart. Have your landing page pull in those leads by developing forms your visitors want to fill out to get your offers. Conversion rates can be increased in the triple digits with our methods! We offer comprehensive, full featured solutions culled from our results from tests such as split testing or A/B testing, including headlines, images and content, We report test results, in our web analytics, so the proof of our improved conversions is statistically explained to you. This enables you to compare variations of the components of your website to make informed choices. Marketing testing is easily measured and creates analyzed strategies you can implement. When you establish yourself as a champion of a data-driven approach, you’ll reap the rewards in your career. Measurements, and making informed choices with the data our team provides, helps you and your company stay on the fast track.